Summary: Located on Nguyen Huu Canh, the major thoroughfares of Saigon, from Vinhomes Central Park, residents can easily travel to District 1, Binh Thanh District, District 2, Thu Thiem Urban Area (5 minutes), District 7, District 4, District 3, District 5 (10-15 minutes). 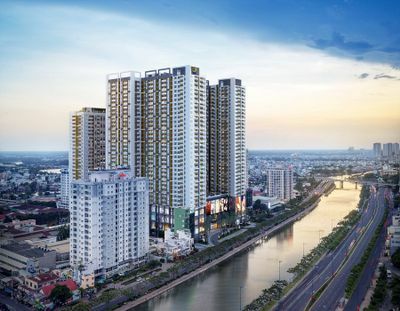 Surrounded by the meandering Saigon River and the beautiful parkland constructed by Vinhomes Central Park itself, residents are provided with extraordinary panoramas. Full Content: Vinhomes Central Park is inspired by New York’s Central Park, “a green oasis within the city”. With this perspective in mind, Vinhomes Central Park has successfully brought to life the beautiful green parkland of Saigon that has recently become more and more popular with photographers thanks to its stunning landscape. 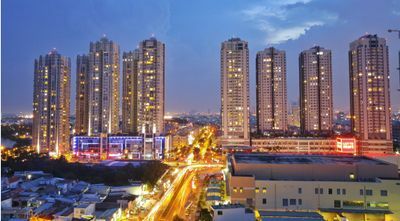 Located on Nguyen Huu Canh, the major thoroughfares of Saigon, from Vinhomes Central Park, residents can easily travel to District 1, Binh Thanh District, District 2, Thu Thiem Urban Area (5 minutes), District 7, District 4, District 3, District 5 (10-15 minutes). 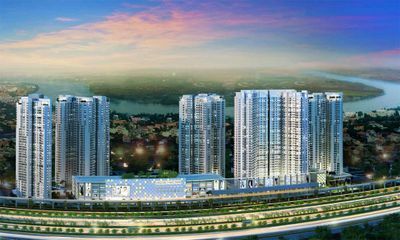 Surrounded by the meandering Saigon River, Vinhomes Central Park promises its residents with extraordinary, breathe-taking panoramas that perfectly combine the classic modern view of the whole city and the serenity of nature needed in one’s home. With elegant design and luxurious interiors, attentive staff that take care of your room daily, you are provided with the highest living condition. Vinhomes Central Park also promises you with 5-starred inbuilt facilities that range from buffet restaurants, children’s playgrounds, swimming pools, gyms, guest lounges, playgrounds, BBQ gardens, Jacuzzi pools, shopping center, sculpture gardens, pond to the ever-famous namesake Central Parkland, high-quality Vinschool and Vinmec international general hospital. With all of the aforementioned qualities, Vinhomes Central Park indeed offers you a made-in-paradise calming oasis in the middle of a busy city.